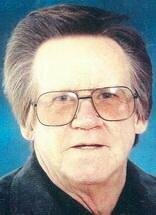 WATERLOO - William L. Betts, 68, of Waterloo, died at his home Wednesday, Dec. 23, of cancer. He was born April 9, 1941, in Eugene, Ore., son of Chester and Lena Bodenhammer Betts. He married Vergena Fifield on Dec. 24, 1980, in Waverly. Mr. Betts attended Waterloo East High School and Hawkeye Community College. He worked for John Deere for 36 years, retiring in 1997 from the engine works. He also was a U.S. Army veteran, serving a year in Korea. Survived by: his wife; four daughters, Jennifer (Chad) Swaney of Waterloo, Amanda (Randy) Betts of Des Moines, Angie Betts of Missouri and Katie Betts of Waterloo; a son, Mark (Kathleen) Edwards of Tama; five grandchildren; a great-granddaughter; and two sisters, Lois (Jerry) Schultz of Lutz, Fla., and Clara (Larry) Watts of Oklahoma. Preceded in death by: a sister, Laura. Memorial services: 1:30 p.m. Tuesday at Locke Funeral Home, with military rites by Waterloo AMVETS Post 19 and Evansdale AMVETS Post 31. Public visitation from 3 to 7 p.m. Monday at the funeral home.